As any avid traveller knows, treasures collected when visiting an exotic destination make for great memory boosters and conversation starters at home – even years after your suitcase is unpacked. Luckily the time of kitschy-kitsch souvenir teaspoons are long gone. These days the essence of travel shopping is to invest in high-end items, unique to your travelling destination and preferably created by local trade. South Africa, being a renowned hub of creative and mineral riches, is considered as one of the international shopping destinations when it comes to fantastic designer jewellery. Let’s have a look at the ultimate South African must haves no jewellery loving traveller should fly home without. Mined only in eastern Africa, this precious gem has become synonymous with African glamour. Tanzanite, named after Tanzania, is widely used by South African jewellery designers in a multitude of sizes and qualities. With colours ranging from dark blue to intense violet these stones make for great statement pieces, especially when set alongside Southern Africa’s other famous gem export – diamonds. Mark Solomon Jewellers boasts a wide selection of top quality, laboratory certified tanzanites available loose or set in handmade, designer jewellery. View our range of tanzanite jewellery today and choose your own part of this exclusively African marvel. With the largest diamond ever found, the Cullinan, originating from our soil, South Africa has been synonymous with the king of precious stones for centuries. 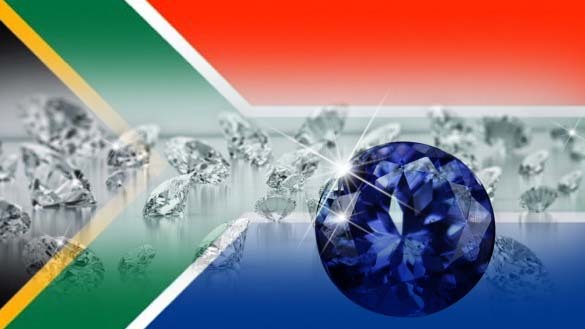 Purchasing a diamond in South Africa has even become a rite of passage. Just ask the many couples who visit our shores each year with the specific purpose of choosing one of the many exquisite diamond engagement rings South Africa has to offer. At Mark Solomon Jewellers we pride ourselves on having the largest selection of diamonds under one roof in South Africa. Our range of loose certified diamonds include rare fancy cut and fancy coloured diamonds, black diamonds and highly sought after investment stones at wholesale prices. Contact us today to learn more about our range of South African diamonds or to discuss your perfect diamond engagement ring. South Africa’s ample gold and platinum reserves have played an unmissable role in establishing our country a Mecca for jewellery lovers across the globe. Whether sleek and simple or gem encrusted, investing in South African jewellery is the perfect way to commemorate your holiday and enjoy precious reminders for years to come. Whether you’re looking for an investment piece for yourself, or the perfect presents for friends and family back home, visit the Mark Solomon Jewellers showroom in Sea Point, Cape Town for a wide range of high end jewellery to immortalise your holiday.